Businesses and multi-family dwellings produce a large amount of waste, much of which is recyclable. The good news is there are a few simple steps you can take, to not only lower your trash bills (reducing pickups and the fees associated), but also to make a positive impact on the environment. 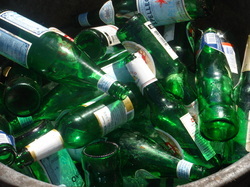 Instead of taking up precious landfill space, recyclable materials can be reused in the manufacturing of new products. With the City of San Diego Recycling Ordinance in place for businesses and multi-family dwellings, it is imperative to implement a program as well as continually optimize your waste stream for cost savings. Recon offers a variety of services customized to our client's individual needs and business goals. Not sure if it's recyclable? Just contact us and we'll let you know!